Steven Caulker needs time to fill John Terry's boots | The Transfer Tavern | Where football transfer rumours fly or die! There is an old saying that actions speak louder than words. A phrase that can be used to describe the sense of disappointment that has engulfed the England national team for decades. Yet without a major tournament looming, this expression has found a new meaning. A couple of weeks ago Steven Caulker was hailed to be the next English hope, and a long term replacement for John Terry. However England boss Roy Hodgson had other plans, calling Ryan Shawcross up to the England squad to face San Marino and Poland instead of Caulker. However this should not be seen as the nail in the coffin for Caulker’s fledgling international career. Whilst he has been dropped for this round of fixtures there is nothing to say that the 20-year-old does not have the talent to be a good replacement for Terry. 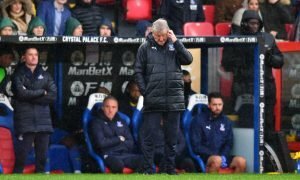 It appears that Hodgson wants to implement any changes to the England set up with due diligence, making the correct chances at the correct time. Despite an outstanding season on loan at Swansea last year, playing for Great Britain in the Olympics and breaking into the Spurs side, Caulker lacks the necessary experience to be thrown directly into the national team. Forcing a young player, like Caulker, to fill the boots of a personality as big as Terry could potential produce a whole host of negative knock-ons. In many ways Hodgson has made a bold but shrewd move in leaving the Tottenham centre back out of his latest squad, removing any speculation in the press portraying Caulker as the new John Terry. Caulker is simply not ready to take on the mantle as a regular England centre half, which means for Hodgson it is more important that he establishes a solid partnership of two from the trio of Gary Cahill, Phil Jagielka and Joleon Lescott. It’s not that Caulker is not good enough to replace Terry, he just needs more time.